If you run, it's not unusual to experience back pain at some point. This pain can be caused by tense upper back muscles and shoulders, weak abs, tight hamstrings and hips, or a combination. You'll be amazed at how a regular stretching routine can help! Sleep better and tie your shoes with ease by going through this 11-pose yoga sequence after every run. Start by opening up your hips and lower back with Butterfly pose. 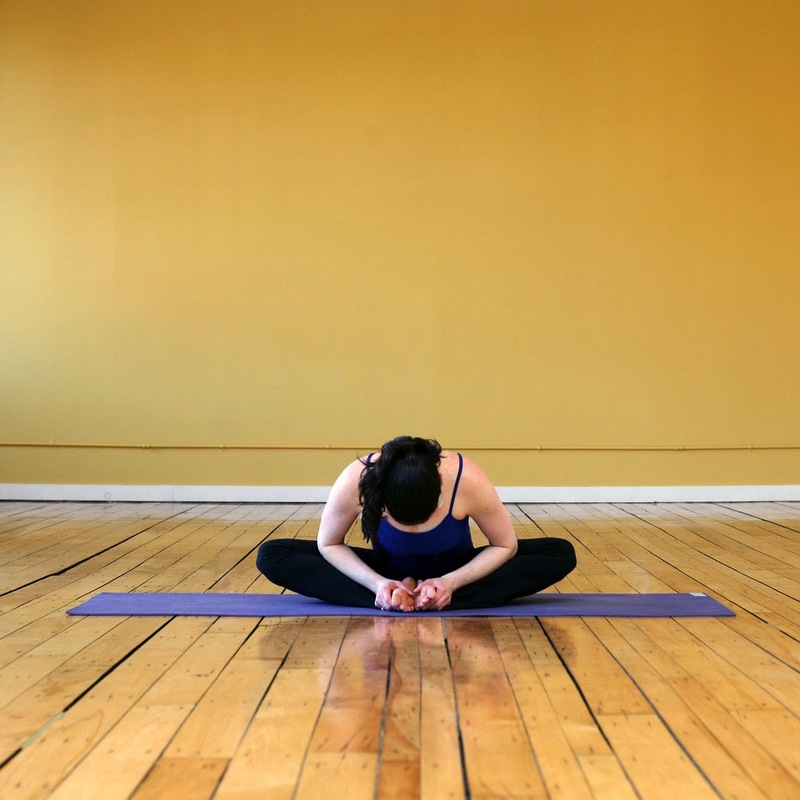 Begin on your mat and bend your knees so the soles of your feet are touching. Use your hands to open your feet up like a book. Relax your shoulders away from your ears and stay like this for five breaths.